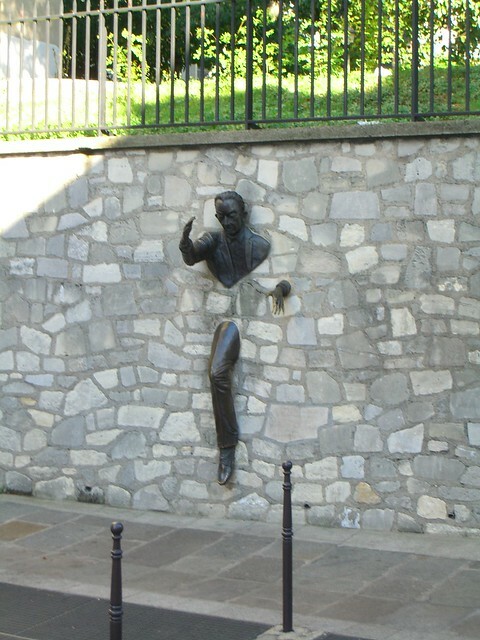 Here is an unusual statue of a man walking through the wall. 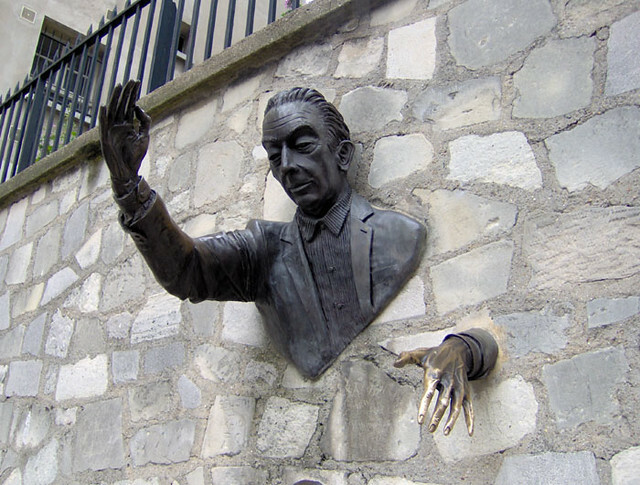 The statue is a tribute to French novelist Marcel Aymé and is based on his famous short story Le Passe-Muraille - The Walker Through Walls. 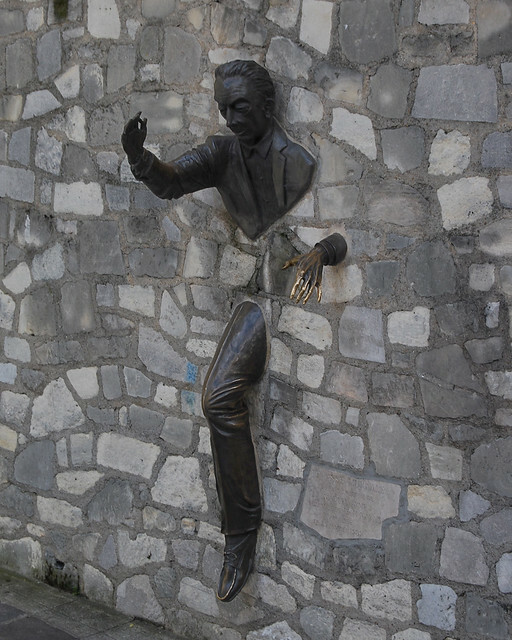 The main character of the story is a French civil servant Dutilleul, who one day discovers that he had the remarkable ability of passing through the walls. Initially he was reluctant to use his skills but gradually he started to use it for revenge and then theft from bank etc. However fate had different plans for him and he finally ended up stuck in a wall. 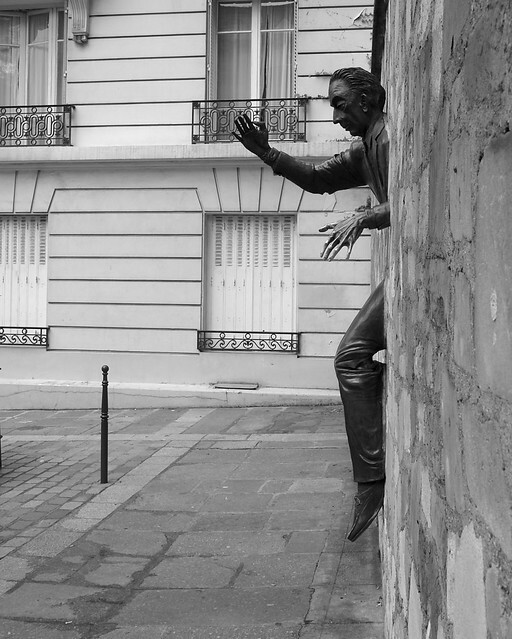 The statue is creation of sculptor Jean Marais and is installed on the walls of a raised garden on the same street (Rue Norvins) in the Montmartre district of Paris, where the authour used to live.